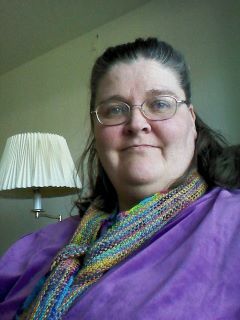 I started this rainbow scarf when I was in Salt Lake City this summer. My sister Jeaka flipped over it, and asked for it outright. 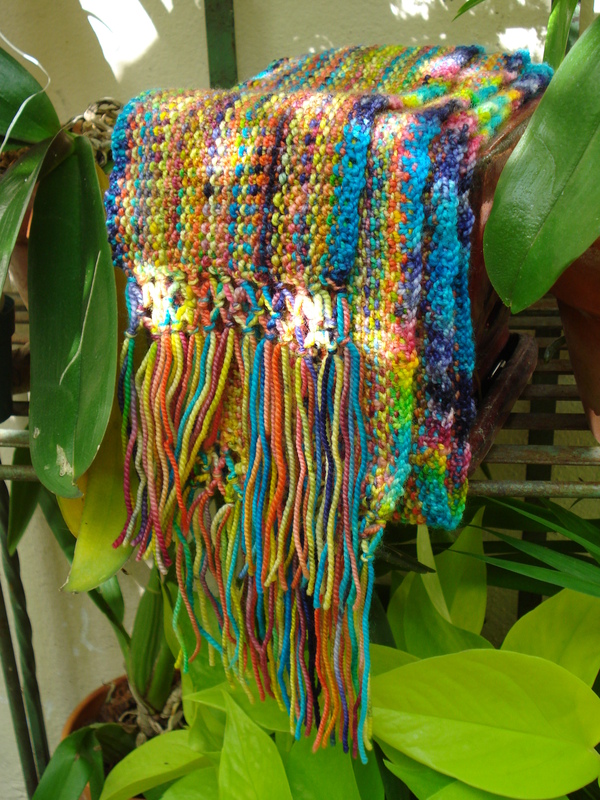 This was supposed to be a lightweight scarf for my occasional Key West chilly days (like today…53 degrees!). But how could I keep it for myself when she begged for it shamelessly? All any knitter wants is a properly grateful and gushing person to wear and show off their time-consuming handiwork! For my mom, I knitted something ghastly. 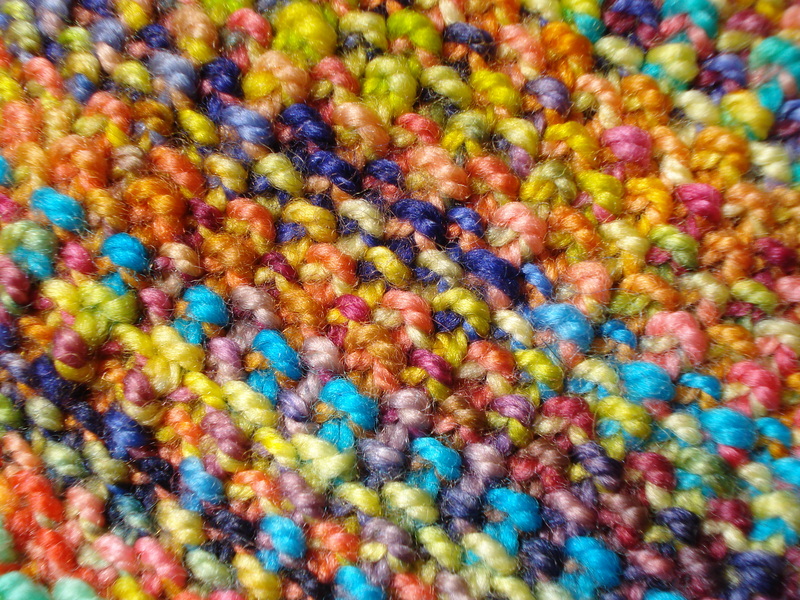 I used a beautiful minty green, super bulky, nubbly, spun-cocoon-looking yarn. It made the most lopsided, lumpy, misshapen “purse” one could ever knit. I struggled with it for weeks before finally chucking it as a failure and buying her this lovely bowl instead. It was made by my friends Adam and Kelly at Honest Works Pottery here in town. 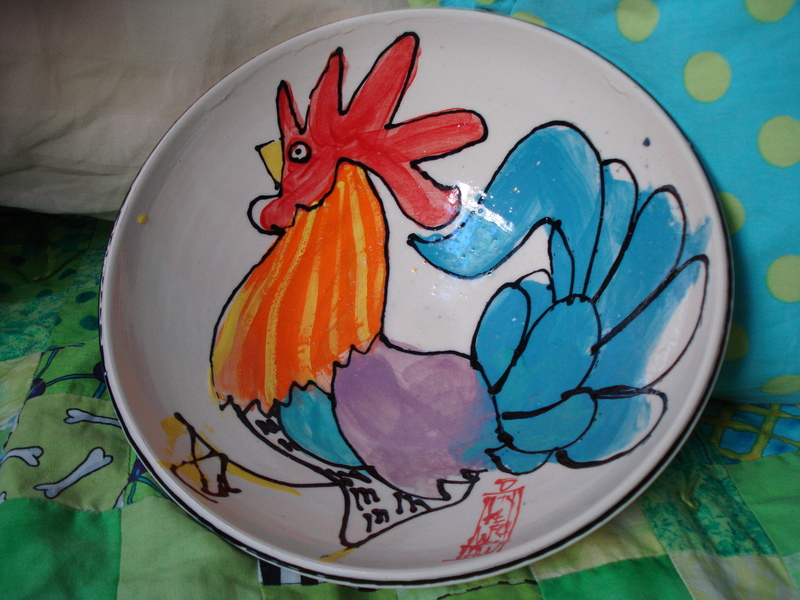 They are famous for their boisterous use of color and their rooster mugs are hugely popular. Roosters always make me think of my mom, who made the mistake of mentioning that she loves them and that they remind her of her own mother. I am not the only person always tempted to give her rooster gifts. 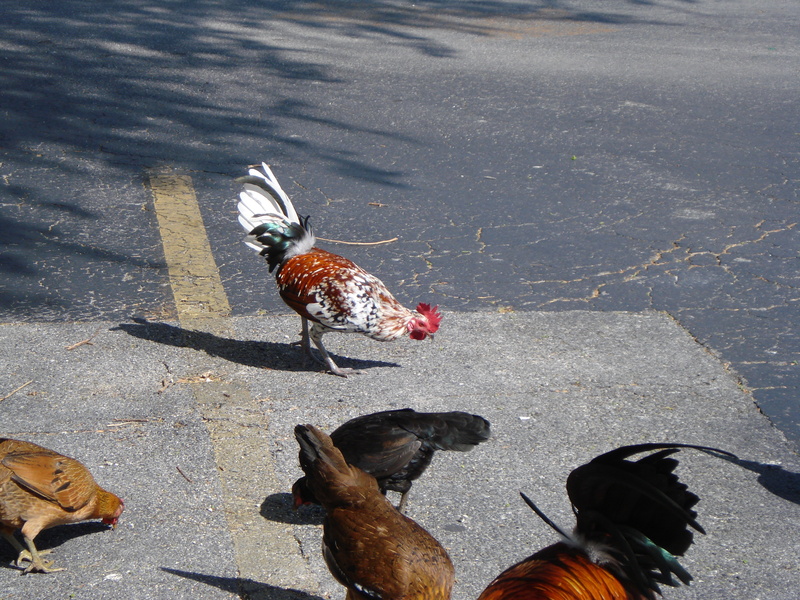 Roosters are Key West’s pests and icons; well photographed by tourists and hated by anyone with a bedroom window. I frequently photograph the prettiest ones when I’m out and about. 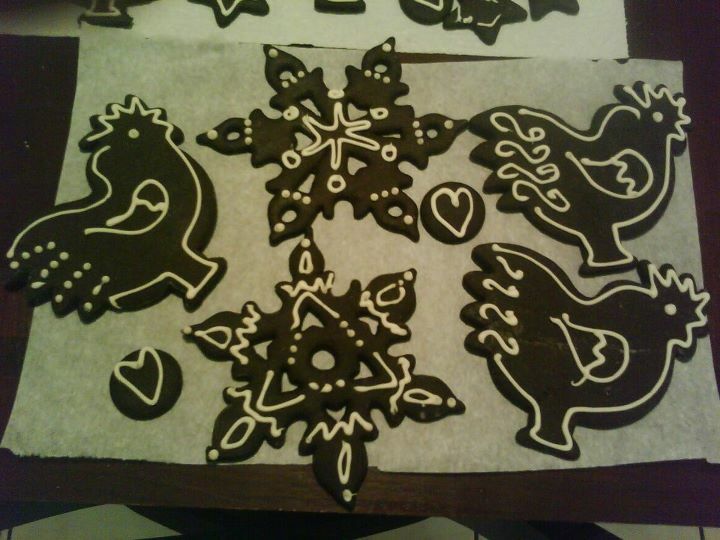 I’ve started making Key West christmas gingerbread roosters (becoming an annual tradition). For knitters: the scarf used three balls of Koigu PPPM (no, I don’t have any clue as to the color numbers) and this Churchmouse linen stitch pattern. This was an excellent exercise in forcing myself to knit continental, because the constant switching between k, p, and yf, yb would have taken even longer if I had “thrown” my yarn the whole time.